According to the American humorist Samuel Clemens [aka Mark Twain], there are three kinds of falsehoods: Lies, Damned Lies, and Statistics. All three were in evidence at the so-called “Facts on Fracking“ forum hosted last month by TRC. First of all, I have to say that I am very proud of TRC for putting together such a good program with three very different perspectives. I am also impressed that well over 100 people came out to hear the speakers on a night where massive thunderstorms and winds were predicted [and occurred…but let’s stick to the topic of fracking and not mention climate change and variability]. Perhaps most startling was the press coverage we received. The Kalamazoo Gazette ran a front page story full of facts and figures that is now available elsewhere on this website. This was good news for me because I was struggling with the idea of having to write an unbiased [boring] factual account of the 3 hour plus program. Now I feel free to simply write about some of my impressions as I listened to the three perspectives: energy, environment, and regulatory. The oil and gas industry was represented by Luke Miller of Miller Energy who was quick to assert that this was just a friendly little family oil company which had been operating in Michigan for decades. Heck, he was the fourth generation to work in the company, he drawled in his South Carolina accent. Although he was pretty good at pushing the button to advance the slides in his slick power point presentation [produced by MOGPEF which is the propaganda arm of the industry], he didn’t really know anything. He is not a geologist or a petroleum engineer and ended up deferring on almost every question to Bill Mitchell, a geologist working for DEQ. Miller’s basic point was that hydraulic fracturing was old technology [60 years old], that it had been used extensively in Michigan [12,000 wells], and that there had never been any significant environmental incidents. All of which brings us back to Mark Twain. It is a lie [or at least a knowing inaccuracy] to claim this technology is 60 years old and has a long track record of safety. 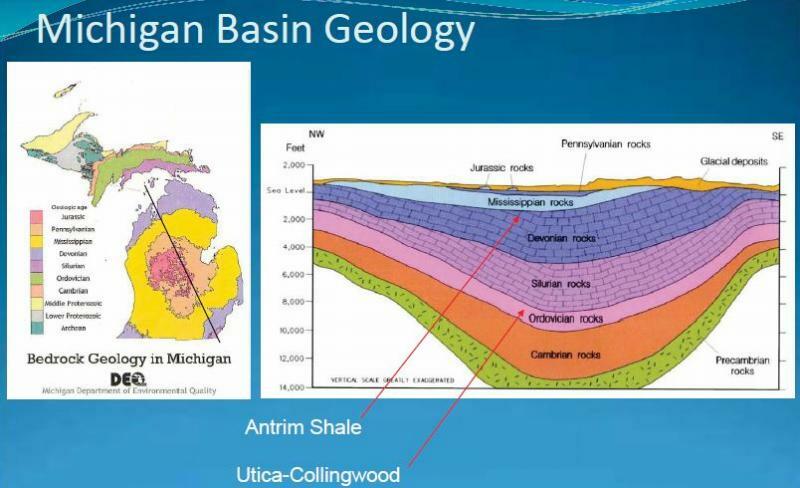 The mineral extraction mechanism being proposed for Michigan is of a new type called high volume hydraulic fracturing. High volume meaning literally millions of gallons of water turned into fracking fluid by the addition of tens of thousands of gallons of extremely toxic chemicals [like Benzene, a known carcinogen]. This fracking fluid is then pumped deep underground and injected into shale formations where it fractures the rock and allows the capture of natural gas and oil. A recent well in Kalkaska took 21.5 million gallons [in fact, the well exhausted its private source of water and had to buy municipal water]. And there aren’t 12,000 of these kind of high volume wells operating in Michigan. Steve Losher, representing environmentalists, estimated that maybe 15 of these wells are currently up and running in Michigan and nobody contradicted him. The truth is that we are at the very beginning of high volume fracking in Michigan and, as a state, we are feeling our way forward [and need to be careful not to stumble]. Miller said one other thing that actually caused many in the crowd to hoot in derision. With a straight face, Miller said that the water being used in the fracking process isn’t really being lost. This is because when the natural gas is eventually burned, the chemical process of combustion produces water molecules. I am sure that the people who live in Kalkaska can take a lot of comfort in the fact that the 21.5 million gallons of water recently used for a single fracking operation will eventually turn back into water vapor somewhere in the sky over New York, Atlanta, etc. One thing that really gets the oil and gas industry riled up [and sadly, the DEQ too] is to ask them about the documentary movie about fracking called ”Gasland”. There are several famous scenes in Gasland where various homeowners across the country turn on their water faucets and light them on fire with pocket lighters. The homeowners all insist that there was nothing wrong with their water until fracking wells were drilled nearby. Bill Mitchell of the DEQ scornfully rejected the notion that there was any causal relationship between drilling and flaming water faucets. He said the flammable gas coming out of these taps is naturally occurring thermogenic methane and has nothing to do with fracking. I remember sitting there thinking, “Well, are all those homeowners lying? Or is it just a coincidence that after oil wells were drilled nearby, their water wells then went bad?” It took me all of two minutes on the internet to get some answers [of which, apparently, the DEQ is unaware]. Researchers from Duke University have recently published a peer reviewed scientific paper analyzing the contaminated water wells of homeowners in Pennsylvania. There is a significant statistical correlation between contaminated water wells and proximity to oil and gas drilling operations. But it is not contaminated fracking fluid that is leaking into their wells; somehow the drilling and fracking operation is allowing naturally occurring methane gas to migrate into the aquifers that feed the water wells. The bottom line is that a clear causal relationship exists between the drilling/fracking process and contaminated drinking water. It is easy to summarize Steve Losher’s position as head of the non-profit group Michigan Land Air Water Defense. As a state, Michigan should proceed cautiously and prudently with regard to fracking. Traditional drilling for oil and gas is an inherently risky and dirty business with the potential for polluting the surface [and poisoning workers and nearby residents] where drilling operations are taking place. But high volume fracking ups the ante considerably. Millions of gallons of water are being taken out of the hydrologic cycle and being polluted forever with carcinogenic chemicals. Perhaps someday there will be scientific studies that prove that this is a safe technology. If it is ultimately determined to be safe to inject millions of gallons of toxic wastewater from the fracking process into injection wells for storage beneath our freshwater aquifers, then we should strictly regulate and monitor the entire process like any other hazardous industrial process. But that is not going to happen. 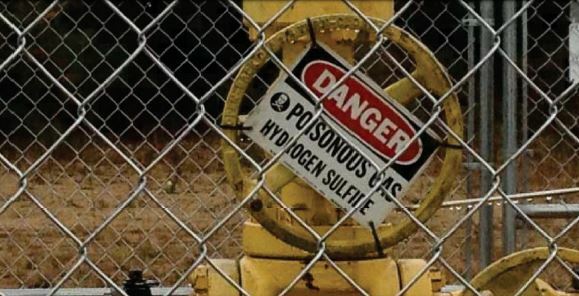 As a result of the federal Energy Policy Act of 2005, fracking is already exempt from key parts of the environmental regulatory framework, such as the Clean Water Act, Clean Air Act, CERCLA [Superfund], and perhaps most important, the Safe Drinking Water Act [not surprisingly it is called the Halliburton Loophole]. It is kind of amazing when you think about it. As a state and a nation we are leaping blindly ahead with an untried new technology that has the potential for contaminating our freshwater aquifers forever [that is a long time]. And we are going to make this leap of faith after first giving a free pass to the oil and gas industry from most of the environmental regulations which make us the envy of much of the world [I should know having lived for a year in China where I couldn’t drink the water or breathe the air]. Now let’s talk about that most useful of falsehoods: statistics. The oil and gas industry argues that because there haven’t been any major fracking disasters so far, we can just all relax and stop worrying about the future. Bill Michell from the DEQ seemed to agree with the industry claim that there haven’t been any significant incidents in Michigan… yet. [So we should just trust them…but did you know that one drilling company in Michigan was disposing of its toxic fracking fluid by spreading it over the county roads as a dust control measure?] And if we don’t trust the oil and gas industry, then trust the regulatory arm of the DEQ to monitor the industry…. So, why doesn’t this make me feel warm and cozy? For several reasons. With the industry exempt from most federal regulations, we only have state regulations to potentially enforce. Bill Mitchell acknowledged that these regulations could be better. But as he pointed out, don’t blame the DEQ. Blame your state legislators who made the weak and inadequate rules that the DEQ has to try to enforce. The bottom line is that money talks , in Lansing as elsewhere, and the big talking is being done by well financed lobbyists for the oil and gas industry. But even if we had strong state regulations, there is no way the DEQ has the budget or manpower to adequately monitor and enforce them. Remember a few years ago when the DEQ did some preliminary testing on Pine and Mill Creeks right here in Van Buren County and found high E. coli levels? The general public assumed the State of Michigan would do the right thing and do follow up testing to get to the bottom of the mystery and then fix the problem. Guess what? It never happened because the DEQ couldn’t even find the money to do the necessary follow- up testing. In case you have missed my point here, let me summarize: it is foolish to believe that there is currently adequate protection in place given the exemptions from federal law, inadequate state regulation and budgetary restraints on state agencies. It is also worth considering how good of a job we do monitoring even a highly regulated industry such as nuclear energy. Two months ago, the Palisades nuclear power plant near Covert had a leak into Lake Michigan. For the 2nd year in a row! Plant officials were quick to point out that the 79 gallons of contaminated water that leaked out were only “slightly radioactive”. But if this kind of incident can happen in a well-established and highly regulated industry, do we really want to give a free pass to a brand new industry like high volume fracking? But really, what could go wrong? All those millions of gallons of water polluted forever with carcinogenic chemicals will just be safely contained in open lagoons and then injected deep underground. Out of sight, out of mind. If you listen closely, you can almost hear them saying: “Trust us, we are engineers, we have a plan here. We even ran computer modeling.” Well, petroleum engineers designed and operated the Enbridge pipeline near Marshall, Michigan that catastrophically failed in 2010. Over one million gallons of oil [actually, diluted bitumen from tar sand fields in Canada] spilled from the pipeline directly into the Kalamazoo River. This was the largest pipeline spill ever in the United States [but, ironically, the least well known or remembered]. We were promised that oil pipeline technology was safe and reliable and maybe it is, but it is not foolproof. Mistakes happen, accidents occur and sometimes you can’t put Humpty Dumpty back together again. Despite a billion dollars in clean-up costs so far, we are not even close to having the Kalamazoo River back to its pre-spill status. Remember the devastation to our Gulf of Mexico coast caused by the BP Deepwater Horizon disaster? Or the Exxon Valdez oil tanker spill in Alaska in 1989? What happens to our freshwater here in Michigan if there is a disaster of this magnitude underneath us? What is the contingency plan, the exit strategy, if the millions of gallons of contaminated fracking fluid get into our drinking water aquifers? Oh, that can’t happen, the highly paid experts and lobbyists for the industry assure us. We are protected by our impregnable bedrock geology here in Michigan. But the recent study in Pennsylvania by Duke University showed that naturally occurring brine water from thousands of feet below the surface was somehow communicating through faults in the bedrock with surface water. This means that it is possible for the forever contaminated fracking fluid to eventually find its way back up to the surface as well. Why are we taking this risk? Our fresh water resource is the one thing that separates Michigan from most other places; in terms of long term economics we have an ace for a hole card in a future that is most assuredly going to be hotter and drier. So exactly why would we run even a small risk of going from the “Great Lake State” to the “Fracking Fluid State”? This is the question that people really don’t want to talk about. Turns out it is the usual suspects: greed, laziness and fear. Billions of dollars of profits may be realized by energy companies with a slight trickle down effect to lobbyists, politicians and oil lease sellers. More importantly, most of us in the deepest, darkest recesses of our souls really want cheap energy and don’t want to hear about the true cost of that energy in terms of pollution, climate change, health effects, etc. It is just so damn inconvenient to even contemplate a modest scaling back of our conspicuous consumption economic model based on subsidized hydrocarbon extraction. Then there is the American flag that the oil and gas industry is now hiding behind. Fracking is now hailed as the great patriotic way to lessen our dependence on foreign oil. Certainly, it would be preferable if United States foreign policy in the Middle East was never influenced by concern over oil supplies. But, personally, I am more afraid of groundwater pollution right here in Michigan than Middle Eastern dictators. And let’s examine the cost of fracking in terms of loss of freedoms right here at home. I was very surprised to learn that you can be forced to lease your mineral rights to a drilling company that wants to frack your land. I am not talking about the situation where you own the land but someone else owns the mineral rights. Even when you own your mineral rights, you can be forced to let a drilling company frack the oil and natural gas under your land through a legal mechanism called compulsory pooling. 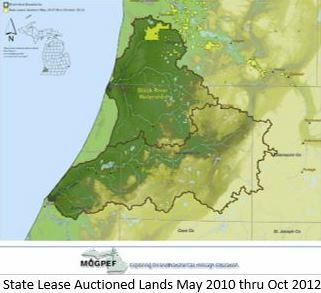 Basically, your elected representatives in Lansing have given the power of eminent domain to private energy companies. It doesn’t matter if you are philosophically opposed to extracting hydrocarbons from the earth. Or if you are worried about the integrity of the aquifer below your house. It does not even matter if you are a shrewd capitalist who wants to sit on his hydrocarbon resources for 10 or 20 years and get a far better price in the future. Compulsory pooling means you can be forced to let your property be fracked and then get paid whatever a DEQ bureaucrat decides is the fair market price. Your elected representatives have decided that your constitutional right to own and control your own property is less important than making things nice and easy [and profitable] for drilling companies. All in the name of fracking and cheap energy. The most frightening aspect of the whole evening may have been missed by some people. 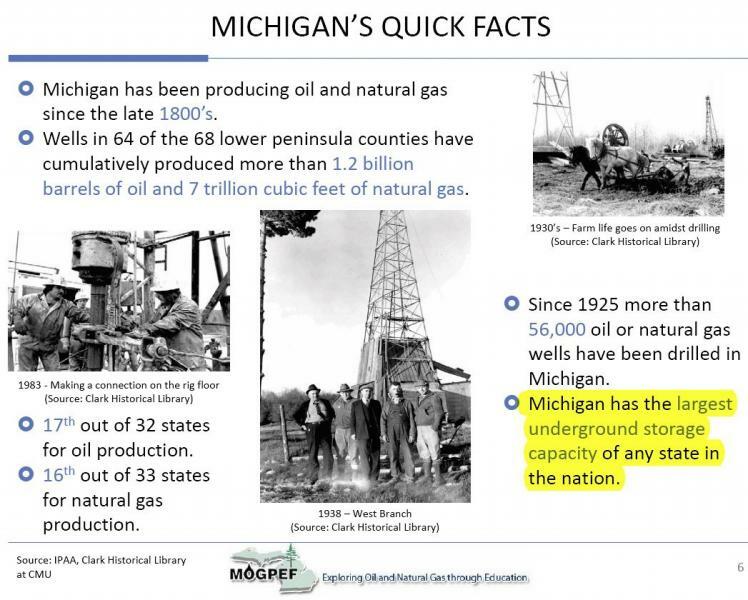 Right there on page 6 of Miller Energy’s power point presentation was the following text, “Michigan has the largest underground storage capacity of any state in the nation”. This means the oil and gas industry thinks Michigan is the best place in the entire U.S.A. to store used, contaminated fracking fluid. In theory, apparently something about our bedrock geology makes us the best potential site for injection wells to pump the whole nation’s excess toxic fracking fluid underground and store it forever. Right below our freshwater aquifers. Get ready Michigan, you are about to be FRACKED! This page last updated on 7/6/2013.